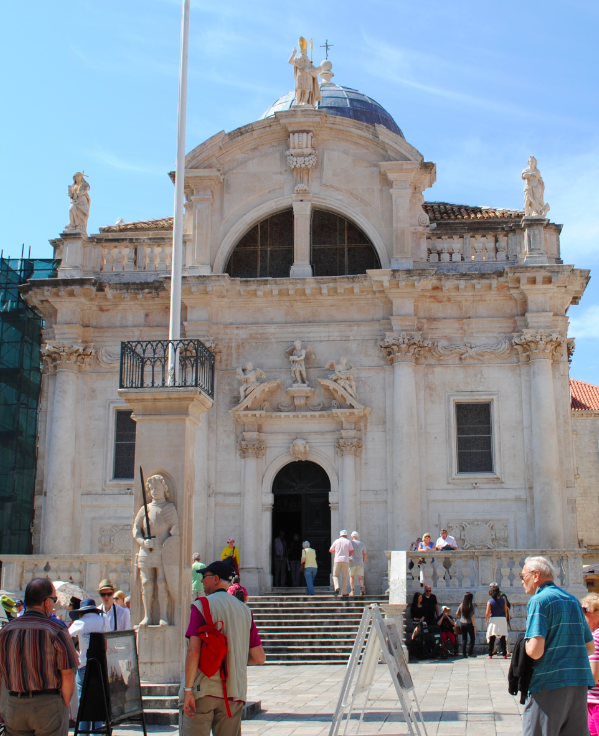 The Baroque church of St Blasius, the patron saint of Dubrovnik,was built in 1715 in the place of the former Romanesque church which was consecrated to the same saint. This precious building was badly damaged by the earthquake of 1667 and completely destroyed by fire in May 1706. Based on the model of the Venetian church of St Mauritius, the Venetian architect Marino Gropelli built the present church having been hired by the Senate. 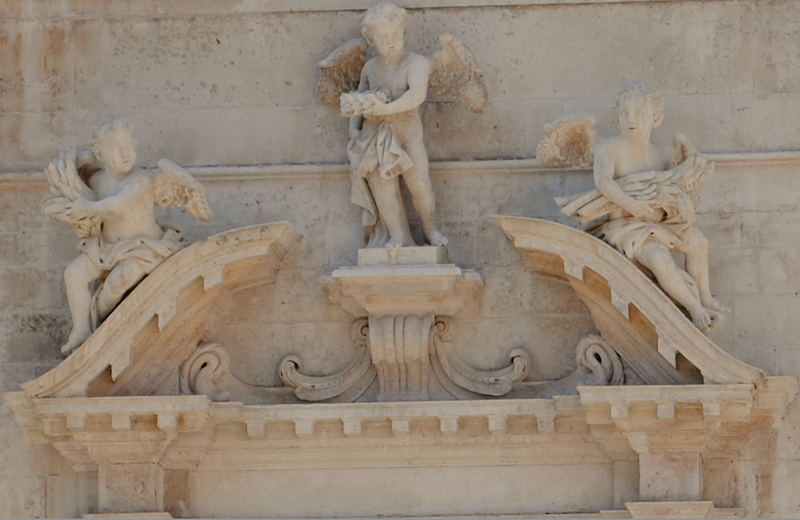 The rich Baroque ornament exterior is in contrast with the simple house fronts in Placa. It is a central building with an oblong cupola in the centre. A broad flight of stairs (above) leads to the entrance of the church which has a large portal rich with ornaments. The interior is richly decorated with magnificent altars built in coloured marble. The high altar has a Gothic statue of St Blasius in gilt silver made in the 15th century by an unknown master of the local school. 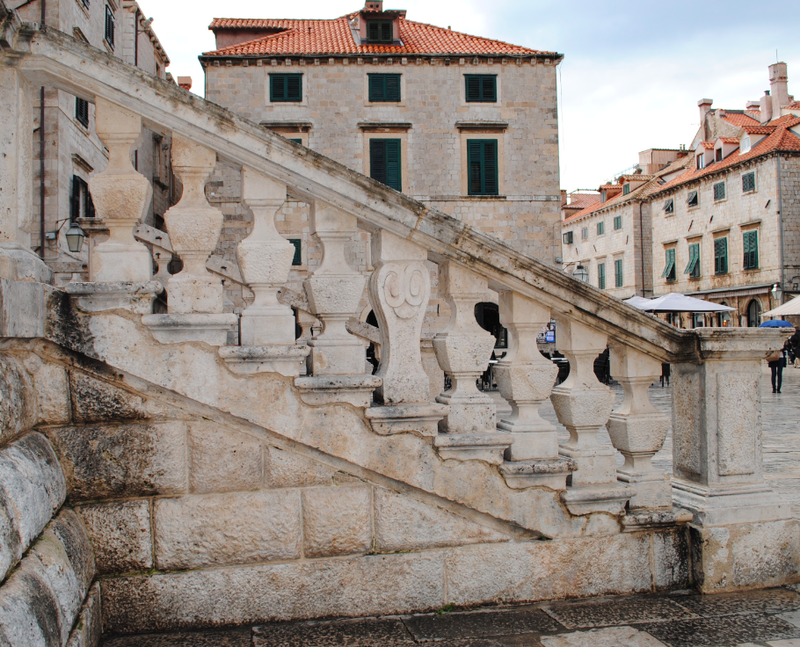 In addition to its art value, this statue is also a historical document as in its left hand, the saint holds a scale model of Dubrovnik showing the buildings which were later destroyed by earthquake. This was the only statue to survive the fire of 1706 with many gold and silver statues along with church vessels being lost.